Noise Induced Hearing Loss (NIHL) is caused by an exposure of sounds that over 80dB and develops slowly after many years of exposure. Susceptibility varies quite widely, but 10 years or more of exposure is generally required for significant hearing loss to occur. NHIL can happen at any age, however, there is a higher prevalence of this occurrence with those who are more advanced in age and it tends to affect men more than women. The younger population is not except from this phenomenon as there are concerns that a growing number of younger people are developing NIHL. According to Health Canada, approximately sixteen percent of teens have been diagnosed with NIHL. In recent years, perhaps due to the influx of portable electronic devices that require headphones and ear buds, many teens are listening to music at an elevated level that can also negatively impact their hearing. 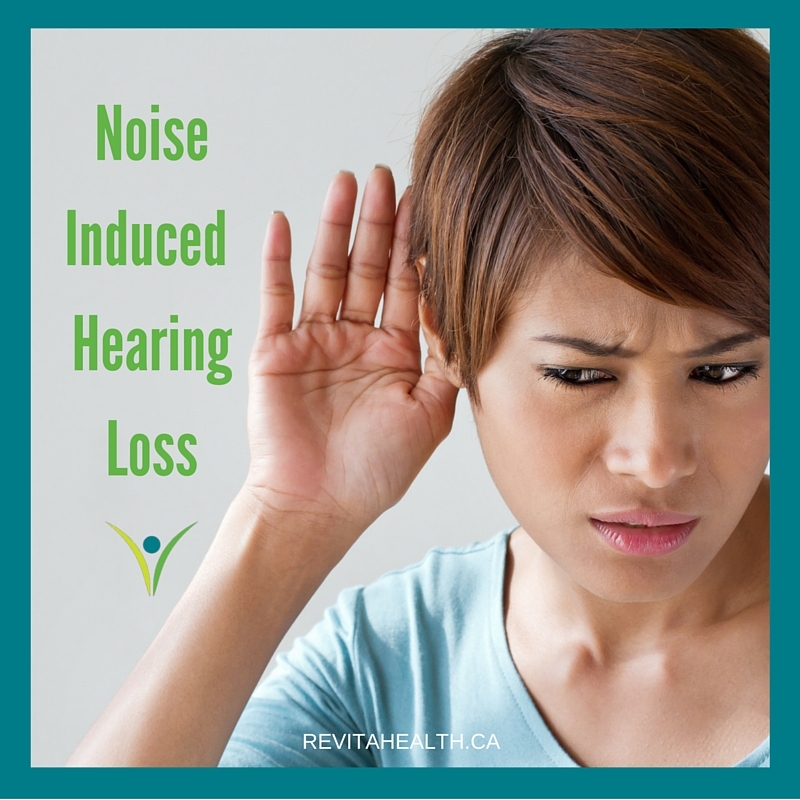 “Hearing losses from intense noise may be the result of brief exposure to high-level sounds, with subsequent partial or complete hearing recovery, or of repeated exposure to high-level sounds, with permanent impairment. “ (Clark and Martin, 2012). Conversely, acoustic trauma is the term often used to describe noise-induced hearing loss from impulsive sounds such as explosions and gunfire that can happen suddenly to someone at any age. Overall, it is important for people to be mindful of the intensity at which they listen to music or surrounding noises. When hearing loss is limited to high frequencies, individuals are likely to have difficulty in quiet conversational situations. The first difficulty the patient usually notices is trouble understanding speech when a high level of ambient background noise is present. As NIHL progresses, individuals may have difficulty understanding high-pitched voices (eg, women’s, children’s) even in quiet conversational situations. On an audiogram exam, hearing loss is always greater at the frequencies 3000-6000 Hz, however, loss is usually greatest at the 4000Hz level. Conversation on the telephone is generally at a frequency of 3000 Hz, therefore most hearing remains unimpaired at that particular notch. There are some signs of NIHL such as pain and loss of clarity. An additional symptom is the development of tinnitus, which is ringing, buzzing, roaring, clicking or hissing in the ear. NIHL is permanent and there is no way of reversing the effects, however, hearing loss does not progress after noise exposure is discontinued. Wear earplugs or other protective devices when involved in a loud activity (activity-specific earplugs and earmuffs are available at hard ware and sporting goods stores). Educate people about preventative measures to protect their hearing from irreversible damage. Clark, F., & Martin, F. (2012). Introduction to Audiology. Boston: Pearson.